Cause I am no longer going to be such a perfectionist *ahem* right? I shouldn't be stressing in the slightest about pulling together a last minute New Years Eve gathering... should I? I mean, there is no better time to gather your friends and family than to see in the New Year together. You know, New year, new beginnings, new traditions and all that. If you have nothing planned as yet either then fear not... it’s not too late! Invite some friends around or simply gather the family together and see in the New Year with a whole lotta love and laughter but without the usual headache. 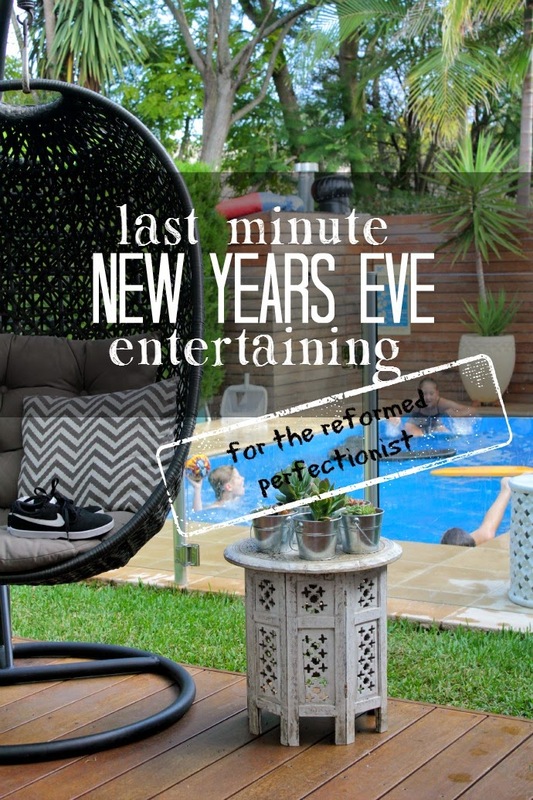 Let’s just call it last minute entertaining for the reformed perfectionist shall we? Yes, for my sake – let’s!